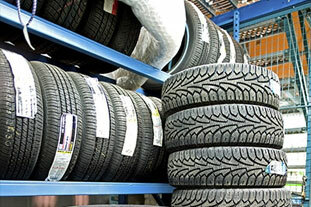 When you need quality tires, installed by friendly people with the training and experience needed to do the job well, you can count on the pros at Darrell’s Tire & Service Center. Through our many years of experience, we have been providing our customers with the finest services and products. Our professionally trained technicians provide quick and complete automotive repair, with the experience and thoughtfulness to treat your vehicle the way it needs to be treated. Whether you need to repair one tire, or replace all four, we have what you need to protect your family from the hazards of the open road. Looking for a specific brand or size? Call us today and set an appointment, or just walk in. We’ll get you back on the road in no time.